PETA, the American animal rights’ organization, is making an effort to attract attention to the Canadian annual seal slaughter, by linking it to the Winter Olympics of 2010, in Vancouver, Canada. Tens of thousands of baby seals, often only a few weeks old, are being cruelly killed for their skin. Many of the hunters are not skilled enough for a painless kill. Often they smash seals’ skulls or shoot them once not to damage the skin. Animals die slowly in agony. PETA is asking individuals in the Vancouver Olympic Organizing Committee, to help convince the Canadian government, to end the controversial seal hunt in the country. While Canada is preparing for the Olympics, PETA is using the 2010 Olympics symbols, to help in fighting against the annual mass killing of seal cubs. 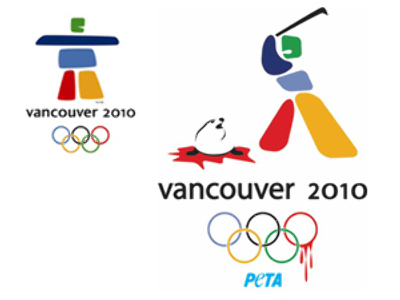 To attract additional attention to the matter, PETA has transformed the 2010 Games’ most visible trademark, the symbol of the upcoming Olympics, into an impressive picture of a colored Inukshuk logo clubbing a seal. And the red ring, of five Olympic rings is dripping blood. 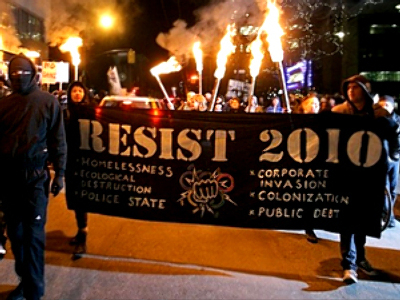 The Olympic movement is well-known for protectioning its trademarks against unsanctioned commercial use. However, they seem to allow parody, satires and artistic representations. Annual hunt: how many do they kill? Since the beginning of the annual seal hunt, Canadian fishermen have already slaughtered some 19,411 seals so far this year, the AFP reports. The commercial hunt, targeting some 63,000 seals would resume in April. The following phase of this year’s hunt will be the most massive. Some 188,600 seals are expected to be slaughtered, according to one of the fisheries officials. The Canadian government says the hunt of seals is essential for some 6,000 North Atlantic fishermen, as it brings them up to 35 percent of their total annual income. Russia bans baby seal hunt. Under Putin’s initiative, Russia has imposed a complete ban on hunting baby seals younger than one-year-old, known as ‘whitecoats’, ‘tufties’ and ‘greycoats’. The latest law to totally ban baby seal hunting follows an earlier one introduced in February, on hunting seal pups up to one month old – the ‘whitecoats’. Before the complete ban was introduced some hunters immediately invented new tactics to avoid the law. They caught the little ‘whitecoats’ and kept them in special enclosures until they became older and turned into ‘tufty seals’ – the baby seals which start casting their coat. 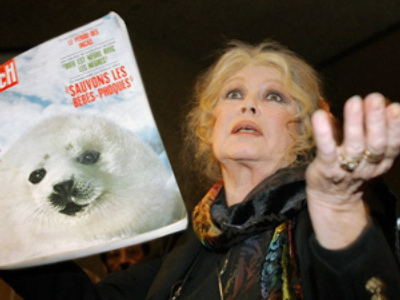 Local and international animal protection organizations, including The International Fund for Animal Welfare (IFAW) is still trying to convince governments of Canada, Denmark, and Norway to stop clubbing baby seals.